With the heat of summer in full swing, it’s hard to think about Christmas being just six months away. I’ve always loved the Christmas in July theme so when I heard Deb from So Sew Easy was having a felt ornament series I jumped right on in. Bean has been pretending to “sew” everything lately (I wonder where she picked that up?) so I thought a lacing card activity would be fun. 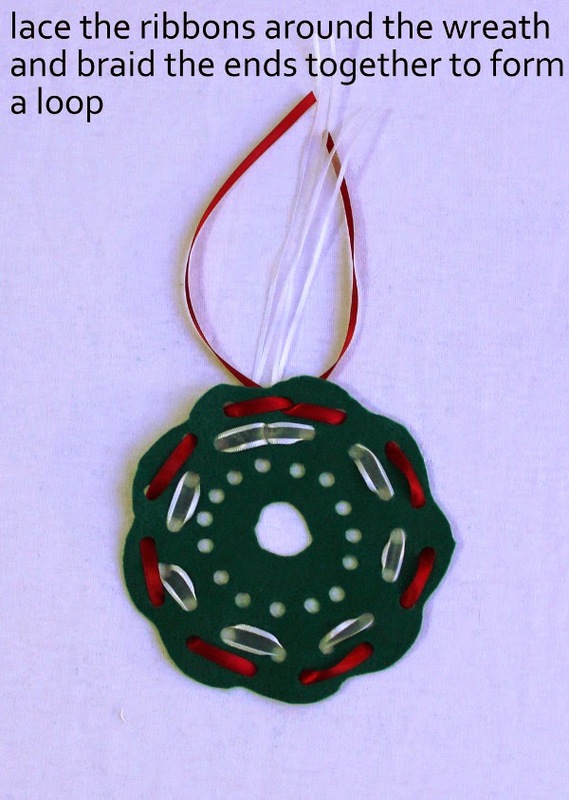 This Christmas Wreath Lacing Card Ornament is a great felt project for young kids. 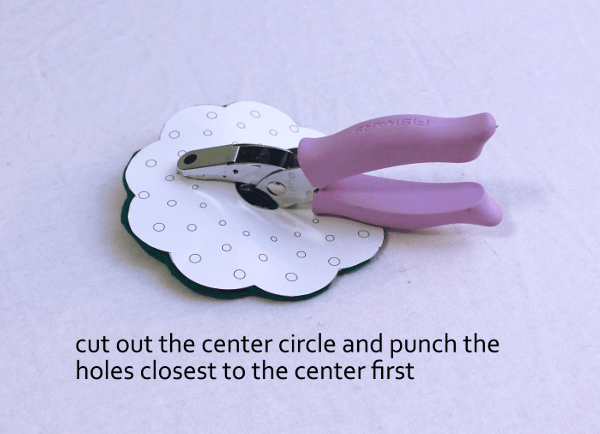 Cut out the wreath template, including the center circle. I didn’t cut the center out until later, but trust me that it’s easier to do it now. 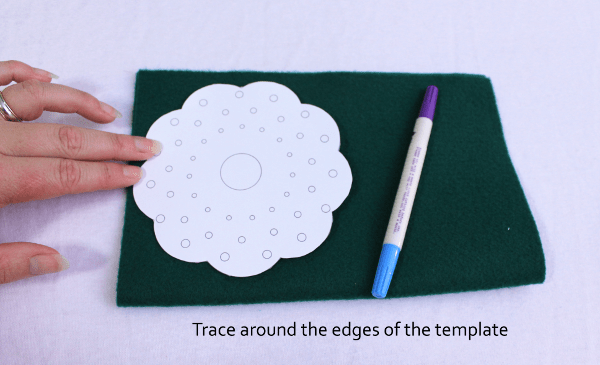 Trace around the inner and outer edges of the template onto your felt. Punch out all of the holes from the template. I find it is easiest to punch the innermost holes first. For the outer holes you can punch from the outside edge, but for the inner holes it is much simpler to run the hole punch through the center hole to reach them. Once the felt wreath has been punched, it is ready for lacing. For Bean I used a blunt end plastic yarn needle with ribbon threaded through. Since she’s only 3 and this was her first real needle project, I found it was easiest to make a small knot on the end of the ribbon near the needle so each time she pulled the ribbon through it wouldn’t come off the needle. For the test wreath I used three ribbons and laced them through the three circles of holes, but of course you can let you child lace them however they’d like. That’s part of the fun. 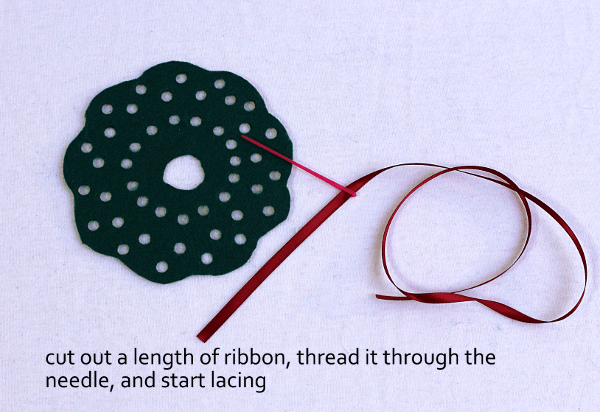 Once the ribbons are laced, you can weave them together to make a loop at the top for hanging. 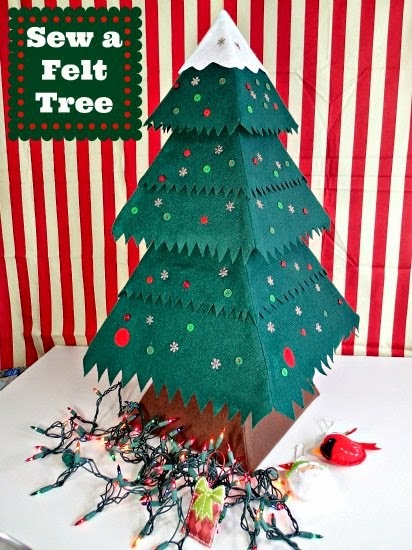 Deb made this fantastic Christmas in July Fab Felt Christmas Tree and you can download the pattern and instructions. It is being virtually decorated with lots of fun felt projects this month, so don’t forget to check out the other felt ornaments this week! That's a great way to get the children involved in an early sewing project and then be able to proudly display it afterwards – and then embarrass them years later when you still hang it on the tree when they are in their teens 😉 Thanks for taking part in the Fab Felt Christmas series Ajaire. I'm not ready for Christmas lol. This is a great idea for beginner sewers! 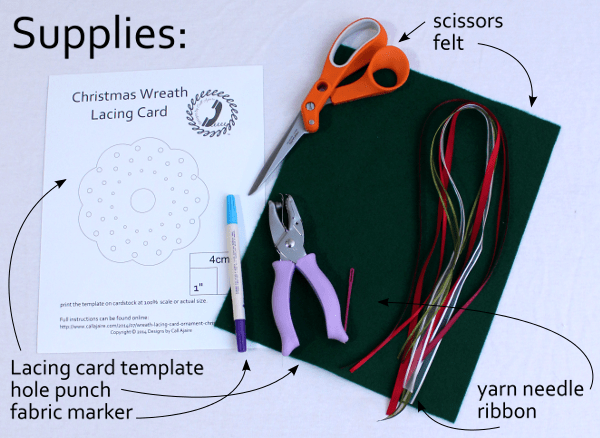 What a fabulous way to involve young children in making ornaments! Did you have Bean try it? I bet she would be an ace! And then she can say she sewed it! 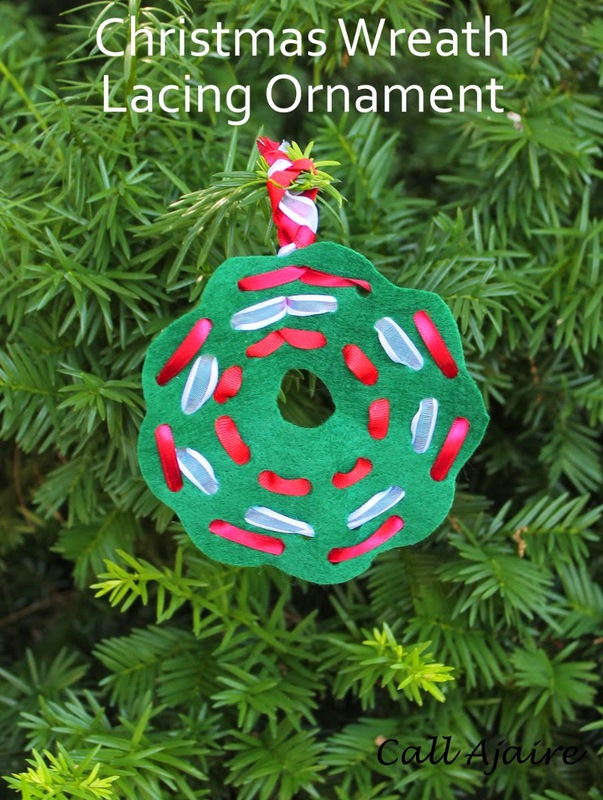 I thought it could be a nice distraction project for the holidays while still making a fun keepsake ornament! Thanks Pam! It's a great intro to sewing stitches too. Yes she tried and we'll definitely be doing more lacing cards!